These variegated Gymnocalicium owe their stunning coloring to a lack of chlorophyll. 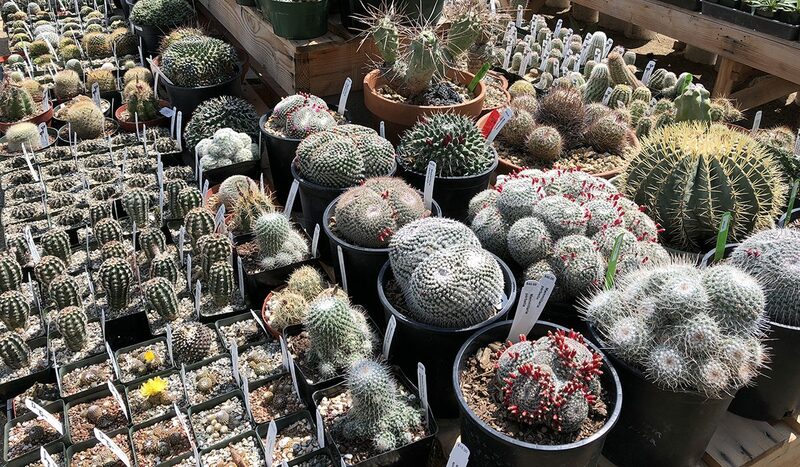 While some variegated specimens require a graft in order to survive, these cacti have enough in their system to standalone on their own roots. These specimens are currently resting and rooting themselves after their long trek to us and aren’t available for sale just yet but we’ll be announcing their availability within the next few weeks when we post them to our web store.